To make the bacon balsamic dressing, place the butter and oil in a medium non-stick frying pan over medium heat and stir until the butter is melted. Add the eschalots and bacon and cook for 5−7 minutes or until the bacon is golden. Add the lemon juice, vinegar, salt and pepper and cook for a further minute. 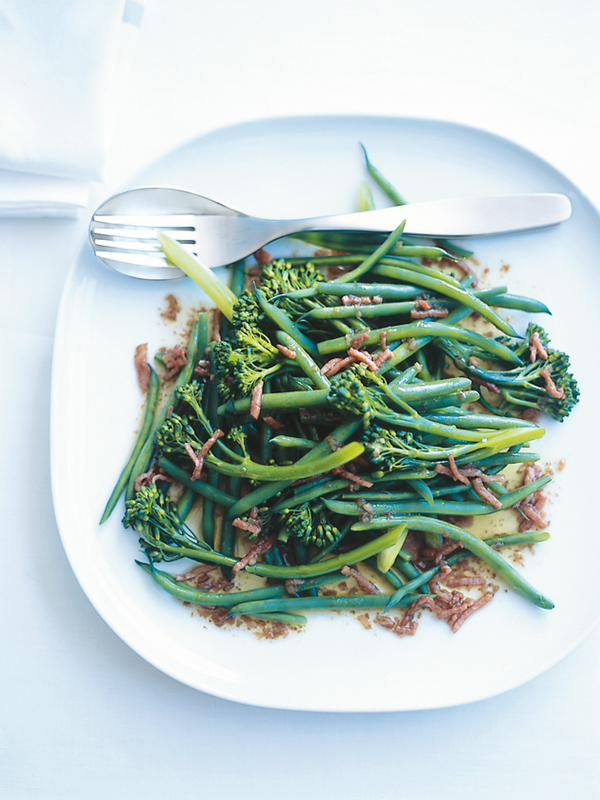 Add the beans and broccolini and cook for 2−3 minutes or until warmed through. Serves 8.